Grandesign is doing HUGE things at this year’s San Diego Comic-Con. We recently put out a press release which gained a ton of media attention. It was picked up by various media outlets including PR Newswire, SDCC Unofficial Blog, Broadway World, Gaming ShoGun and more! Take a peek below to read all about the cool things Grandesign is doing at this year’s San Diego Comic-Con. SAN DIEGO, CA (March 28, 2018) - San Diego Comic-Con is right around the corner and fans, with or without badges, have a new opportunity to quench their superhero thirst outside of the crowded Convention Center. Today, Grandesign, one of the fastest growing Out-of-Home media solutions companies in the country specializing in over-the-top outdoor campaigns and unique brand engagement, announces its partnership with Petco Park to bring comic book enthusiasts an "Experience at Comic-Con". Formerly known as Petco Park's Interactive Zone, the Experience at Comic-Con plans to create the same type of atmosphere, but larger and more exciting than ever before. Nestled in the Lexus Premier Lot, folks can expect the three-acre blacktop to transform into a pop-culture playground equipped with engaging fan activations of Comic-Con-esque brands, with lounge areas, celebrity sightings, entertainment and food trucks. "San Diego Comic-Con is the convention of all conventions and virtually impossible to get a ticket to like many sporting event championship games," said Chief Operating Officer of Grandesign, Robert Ridgeway. "After spending the past seven years working with Comic-Con and Petco Park, we approached them with an idea to turn this interactive zone into a grand fan experience so the everyday fan can participate in this iconic gathering." In 2017, the interactive zone beckoned over 200,000 fans to the off-site location during the four-day event. With Grandesign's help, it is predicted that the number of sci-fi, superheroes and other genre fare will hit record highs. Companies that have participated in the interactive zone in the past include Cartoon Network, Fandom, Amazon, Freeform, Warner Brothers, Universal Studios and many more. "Grandesign was a natural fit as we have created successful activations together in the past," said Director of Petco Park Events, Allie Asuncion. "We really trust the team's operational skills and creativity." The Experience at Comic-Con will be open to the general public at no cost from July 19-22. Badge holders have the opportunity to enjoy the experience as a VIP member. For companies interested learning more about sponsorship, naming rights and enhancement opportunities or to secure an experiential activation space, please contact a team member at eventsales@grandesign.com. For more information on Grandesign and to catch a glimpse of the company's epic outdoor campaigns, please visit www.grandesign.com. For more information on events at Petco Park, please visit petcoparkevents.com. How a tweet became sweet reality. Philly, Philly! Way back in August, Eagles lineman Lane Johnson told reporters that he’d celebrate a Super Bowl victory by “giving out beer” to the city of Philadelphia. Engaging in a friendly bet on Twitter, our friends at Bud Light responded letting Lane know that if he held up his end and won, they’d pick up the beer tab. 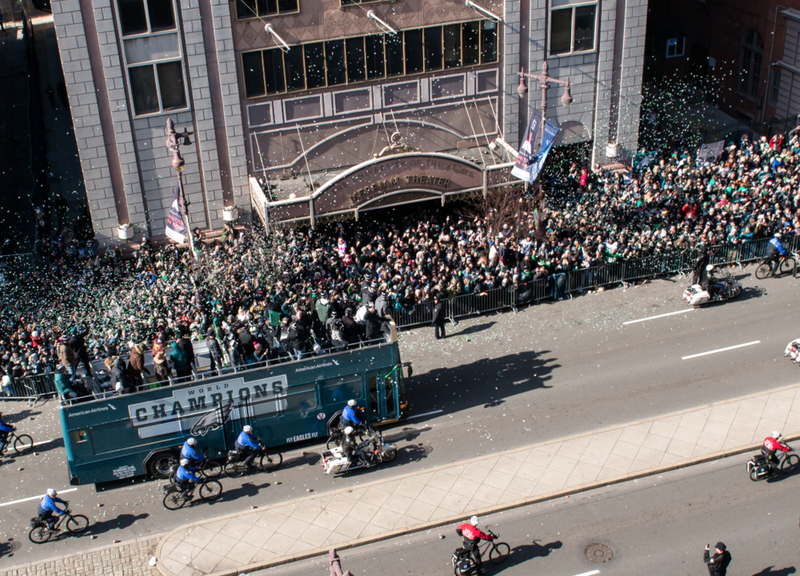 Luckily for Philly fans, the internet never forgets - and mere hours after the Eagles won the Super Bowl, Grandesign was in contact with the AB InBev team to help make good on their promise to supply celebratory brews at the Eagles’ Victory Parade. With a three-day turnaround time, it was all hands on-deck to ensure a seamless result. Over 75 staff were deployed onto the streets of downtown Philadelphia and into 35 bars, carrying custom Bud Light tokens, redeemable for a complimentary beer from the bartender. Patrons were also given a coupon for a discounted Lyft ride to help make sure they celebrated responsibly. 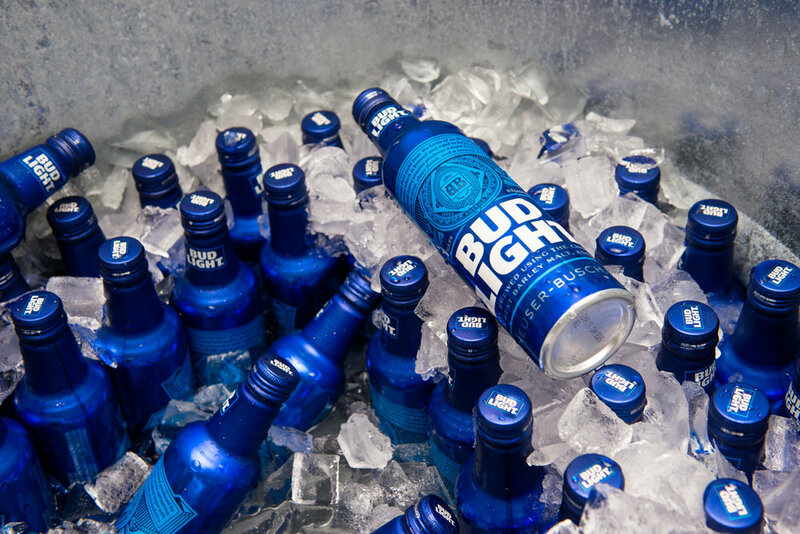 By the end of the parade, Bud Light had engaged with 20-30,000 fans who enjoyed their free beer, while Grandesign enjoyed one of our favorite work perks - seeing consumers organically and excitedly connect with our client on a personal level. In the constantly evolving industry of Experiential Marketing, teams are racking their brains and their Pinterest boards trying to find the next big thing. 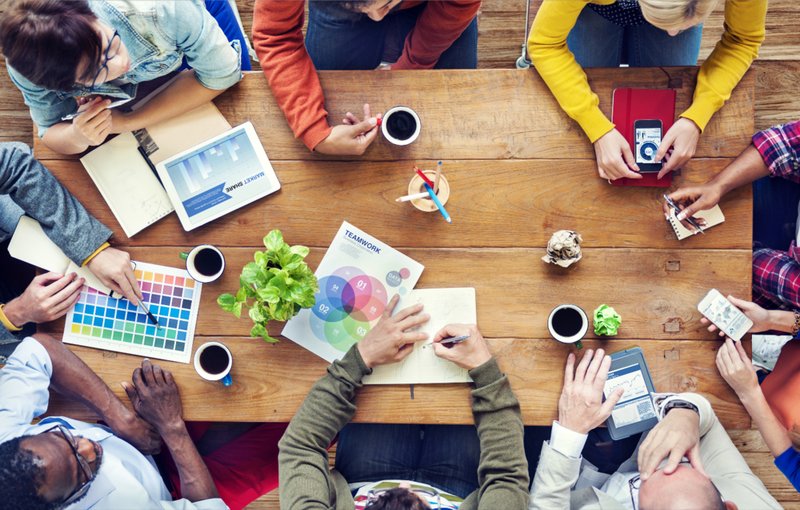 For some of us, the brainstorming process is something we crave - but not everyone shares that passion. In a world that consistently asks us to achieve the impossible, where do we start? Here at Grandesign, we understand that there’s no black and white in the creative process (except when you’re slaying a minimalist aesthetic, tbh), we can’t tell you everything. We can, however, send some thought starters your way to get the juices flowing. Nothing will put your brain to sleep faster than being in a room that doesn’t make you feel excited - just ask your 16-year-old self who kept dozing off during math class. When we’re stuck or in a rut at Grandesign we like to outside, find a nook, or push the envelope and try something that’s totally out of our comfort zone. This is a great way to find new inspiration! You never know where creativeness will hit, but placing yourself in a space that opens your mind will never be the wrong choice. You know them and you love them, and you may take their simplicity for granted when brainstorming. At Grandesign, we believe that sight, smell, sound, taste, and touch are all key to a memorable interaction with your audience. In fact, our relationship with our favorite brands is built on the recognition of the brand without the need to explain it. The red circle graphic that makes up the Target logo is instantly recognizable, as is the sound of the Chips Ahoy theme song from the 2000’s (if Sing Sing Sing is now playing in your head - sorry). Any event or campaign is bound to have a massive amount of moving parts - but what happens behind the scenes is only half the battle. At the end of the day, what matters is how your audience felt about what they were a part of - the big picture. Be diverse in your ideas and get as many on board as you can. Once you’ve completed this stage, start refining the standout ideas and build on them to create truly unique experiences. Then deconstruct it to find a way that it will. There are a lot of reasons, realistically, that an idea might “not be possible”. Budget and timeline are buzzwords we often hear around the Grandesign office, especially when we are headed down a road not yet conquered on the journey to one of our famous “out of this world” concepts. The best ideas, however, tend to come to life after we say the word “no”. Let that “no” be your greatest inspiration. After you’ve stared at your ideas for far too long, sometimes it’s hard to tell what concepts are coming to life over the ones that are dying a slow death. This is when we at Grandesign like to bring in the Red Team. Traditionally a journalism term, the Red Team refers to a group of people who have no prior knowledge of a concept and can therefore come to it with fresh eyes and a perspective not clouded by direct involvement. The Red Team will provide clarity, play the devil’s advocate, and hopefully solidify the legitimacy of your ideas.